Anyone who knows me will know that I have a fondness for Westerns, and those written by Matthew Pizzolato are no exception. 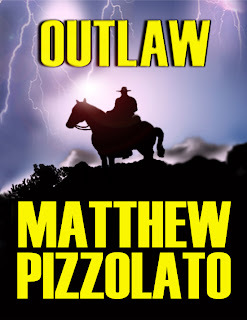 I welcomed him over to the Blunt Pencil back in October for an interview in which Matt discusses the challenges of marketing Westerns, so to help with that marketing, I want to put up my review for his latest novella, Outlaw. I give you that much of the plot as an indication of how fast-paced this novella is. Pizzolato's writing is tight and the narrative unfurls at a swift pace, with plenty going on to make this an action-packed story. Casting an outlaw as your hero takes a lot of guts, and Quaid is more of a likeable rogue than a vicious bad guy. He'll give as good as he gets, but he doesn't pick fights with people unless he needs to. The setting feels plausible, and at no point did I feel like I'd been thrown out of the story. I would have liked to have seen more character development, as well as a little more back story for Sabrina, but hey, that's what other novellas are for, right? 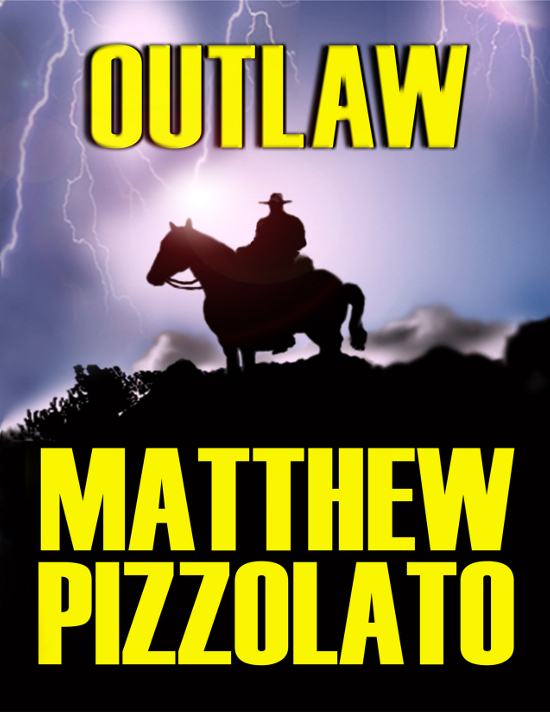 Outlaw is a quick but tight read, and I thoroughly enjoyed it. I'll be looking forward to more of Wesley Quaid's adventures. You can buy it for the Kindle from Amazon US or Amazon UK, and it's also available in paperback. Tweet I asked the question on Twitter a few days ago about whether or not I should restrict myself to talking about writing, design and so on, or whether people would like to see more posts that express me as a person. I'm not very good at talking about myself on my blog, but I can't help thinking that solely featuring posts about writing, or arty things, may be a little 'dry'. A few people asked me to do both, so I figured now was as good a time as any to do a more 'personal' post, as I discuss how the holidays have gone! It's been wonderful to have time off work, time that I've been able to spend relaxing (something with which I often have some difficulty), and doing work for my PhD (on which I've fallen behind a bit of late). I don't often feel that I have the time to sit and unwind, since I always have a lot of things I should be doing instead of relaxing. I also had a very good Christmas, receiving books that are both useful and interesting (Kim Newman's Nightmare Movies, a Boris Karloff biography, and a book on the English Civil War), DVDs, and Nintendo DS games that should keep me out of mischief. 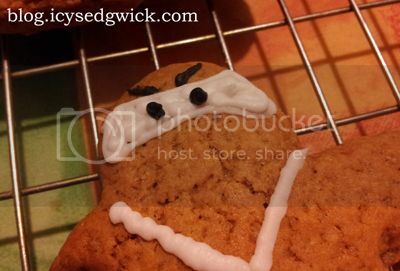 I even found time to do a spot of baking, producing one of my now infamous chocolate orange loaf cakes and a collection of ninjabread men for Christmas Day. 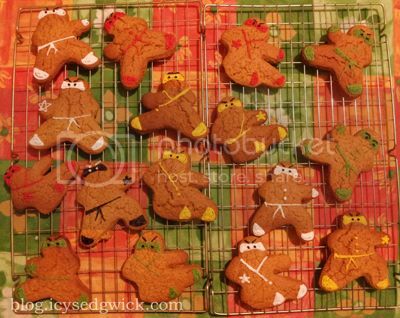 What are ninjabread men, I hear you ask. 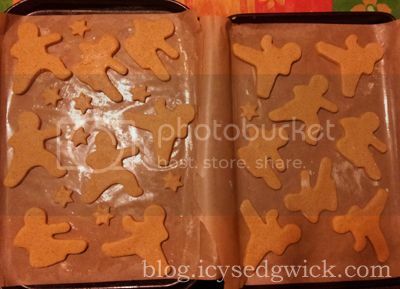 Well, they're gingerbread men made using my ninja cookie cutters! I had a lot of fun decorating them with icing pens as well, and I've included some photos below. Cool, aren't they? They were also incredibly delicious and I'll no doubt make them again in future. I have some dinosaur cutters that I want to try so you never know, I might feature a gingersaurus or something within the next few months. For New Year, I originally went to my best friend's house party but a killer headache (and a problem with my shoulder that makes it painful to breathe) forced me home early, so I saw in the New Year with my parents. I was also my family's First Foot for the year, which is a somewhat archaic tradition that we follow in order to welcome the new year. In Scottish and Northern English folklore, the First Foot is whoever is first to enter the house in the new year, bringing with them good fortune (allegedly). 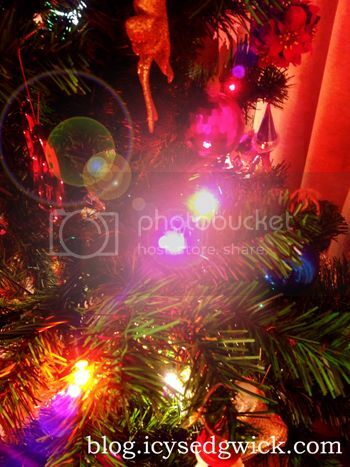 First-footers must leave the house before midnight, and return after midnight, bringing with them a collection of 'gifts'. 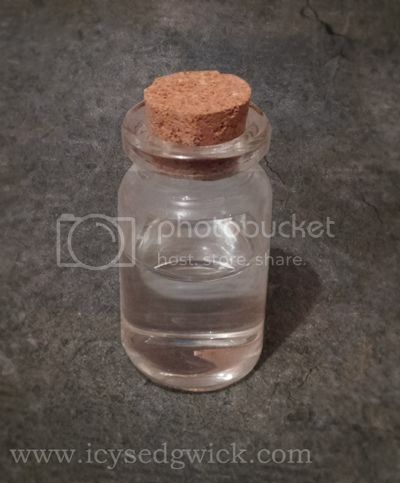 In our house, it's a silver coin (to symbolise prosperity), a piece of food (to ensure continuing food), a box of matches (to bring warmth) and a drink (usually whisky though I've been known to toast the new year with cranberry juice. First footers are supposed to be tall, dark-haired men, but I've done it before, and I'm doing it again. 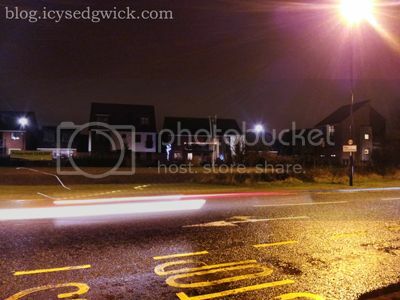 Other countries, or even parts of the UK, have different traditions, but that's how we do things at Castle Sedgwick. Produce an image of some form every day. It may sound like a lot to work through, but I've been reading more than a book a month for 2012 anyway so it is simply continuing that work, and writing a hundred words, be it on an existing project or just as a vignette, shouldn't be too difficult as again, I've been doing it anyway. Producing an image, be it a drawing or a photo, should be easy as I pretty much did that anyway for the latter half of 2012! As far as the cinema goes, it largely depends on what is released, but I let my cinema blog fall by the wayside last year, and I'd like to feature more content on it. Being a film academic should be incentive enough but I'm hoping to have more free time after April to make producing content a little easier. So now I've said all that...how about you?